The wrought iron in this picture is part of a stairway that leads upstairs and overlooks the dining room and living room. This particular custom home was designed in a Mediterranean architectural style with soft earth tones used throughout the home. 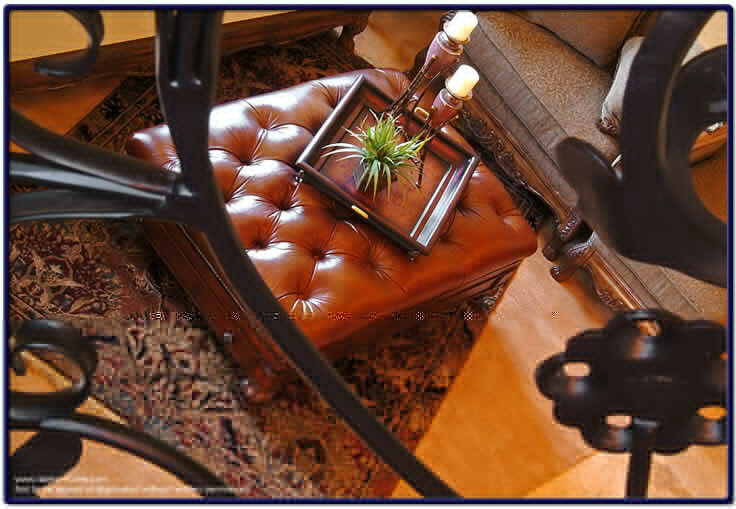 The wrought iron design can be custom made to meet the aesthetic tastes of the clientele.